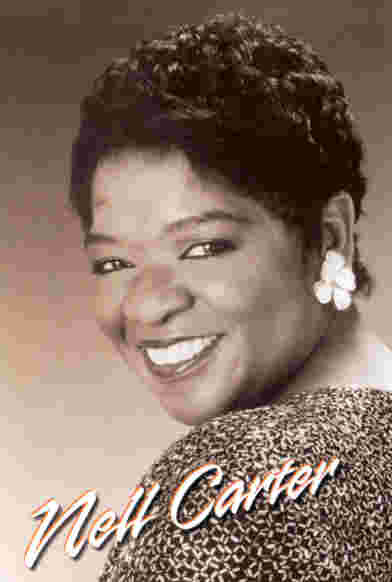 Singer/Actress Nell Carter died on Thursday, January 23 in her Beverly Hills home. Long before she was ruling the household on “Gimme A Break“, I fell in love with Nell when I was in high school. I saw her in the Fat’s Waller musical “Ain’t Misbehavin” at the Shubert Theatre in Chicago. She was fantabulous and I was in total awe of her. It was one of the first musicals I saw as a teenager. As I am writing this entry, I am listening to the “Ain’t Misbehavin” soundtrack. It was one of the first albums that I owned and believe me, I tried to wear the grooves off of it. No one could ever sing “Honeysuckle Rose“, “Mean To Me“, “It’s A Sin To Tell A Lie” or “Get Some Cash For Your Trash” like Nell. She won a Tony for her role in the Broadway musical and an Emmy for television broadcast of the show. One of my favorite episodes of “Gimme A Break” was when she sang “Will You Still Love Me Tomorrow” after her heart had been broken. Call me sentimental! I am sure by now Nell is singing with the angels. This entry was posted on Friday, January 24th, 2003 at 9:40 pm. It is filed under Special Feature and tagged with actress, Nell Carter, remembrance, singer, songbird. You can follow any responses to this entry through the RSS 2.0 feed.